STAN, the lad of four in Our Game, explores a storeroom of sports equipment until he hears his dad calling him. Gathering his gear and his dad’s first glove, he focuses on baseball and responds, ready to play. 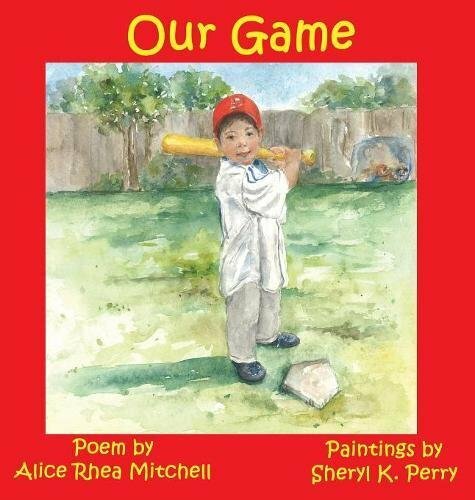 Our Game, a 220-word poem of rhyming couplets for ages 3-7, celebrates the intergenerational bond that baseball provides. Little boys, their fathers, and their fans will delight in this simple saga of time together for a father and his son. Delightful, detailed paintings by artist Sheryl K. Perry depict the text. If you have any questions about this product by White Bird Publications, contact us by completing and submitting the form below. If you are looking for a specif part number, please include it with your message.